Series 1200. 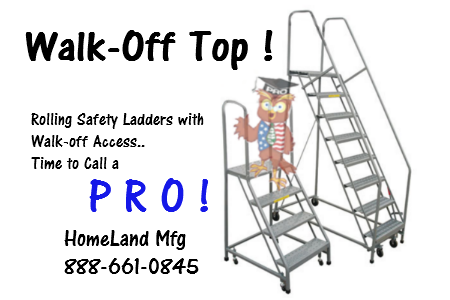 Cotterman Rolling Ladder series 1200 has a 50 Degree Walk-Up Angle. This Allows a Safe Descent! Safety FIRST! Ships Assembled. 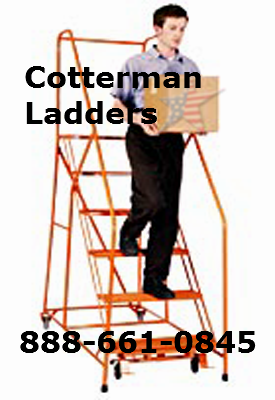 Series 1200 Cotterman Rolling Ladder, allows a SAFE descend of the ladder facing forward due to the 50 degree climbing angle. The 1200 Series ships setup to eight steps. This ladder is powder coated painted with high gloss durable paint. Pick your color from our 11 stock choices. The steps are 7" deep with standard 12" deep top step or optional 24" deep top step. 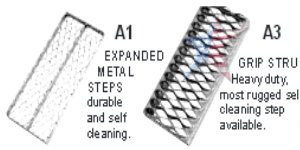 Tread selections are designed for highest slip resistance, expanded metal mesh or Grip Strut for heavy industrial environments. The Series 1200 load rating is 450lbs. 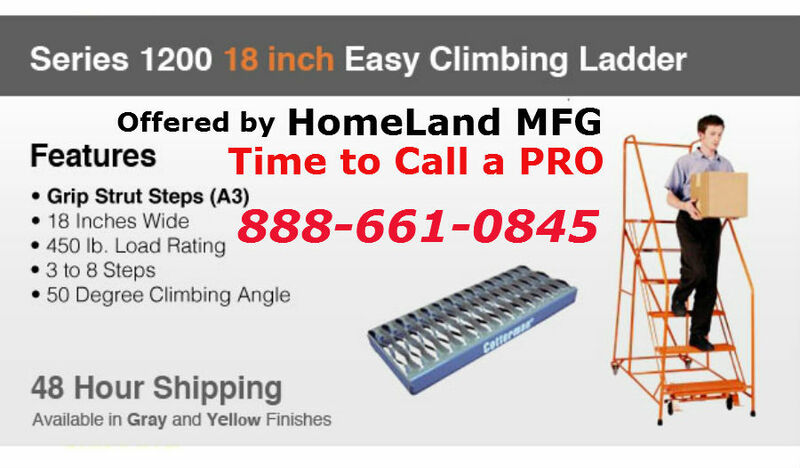 One through four step ladders have spring loaded casters that retract whenever weight is applied, immobilizing the ladder. Five step and up have a Safelock system. Call a Series 1200 Professional.